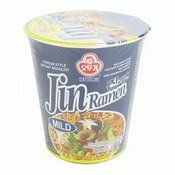 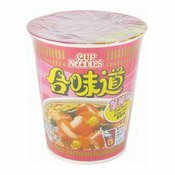 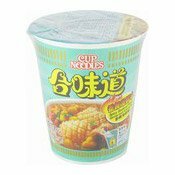 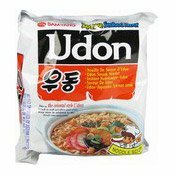 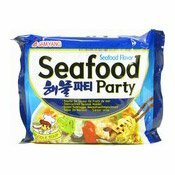 Ingredients: Noodles (61g): Wheat Flour (61%), Modified Tapioca Starch, Palm Oil, Salt, Wheat Gluten, Garlic Extract, Acidity Regulators (E501, E452), Colour (E101). 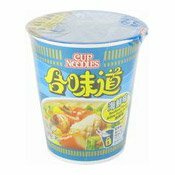 Soup Powder (9g): Salt, Sugar, Soy Sauce Powder (Soybean, Wheat, Salt), Flavour Enhancer (E621, E627, E631), Hydrolysed Vegetable Protein (Soy, Wheat, Corn), Yeast Extract Powder, Palm Oil Powder, Glucose, Spices (Red Chilli Pepper, Garlic, Onion, Green Onion, Ginger), Garlic Powder, Red Chilli Pepper, Black Pepper, Chilli Extract, Colour (E150a). 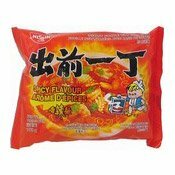 Dehydrated Vegetable Mix (0.8g): Chinese Cabbage, Carrot, Textured Vegetable Protein (Soy, Wheat), Green Onion, Shiitake Mushroom, Seaweed.